Because today’s geoengineering operations seem to involve electromagnetic energy produced from ground-based antennas called “ionospheric heaters” or “Hertzian Antennas” or various types of radar, we should know more about this ubiquitous and (to most) mysterious energy. This article gives an overview of what electromagnetic energy is and how it manifests itself in our every day life. It can be harmful or it can be beneficial. Once we establish what this stuff is and what it does, we will examine its use as part of today’s global weather modification operations. Most of the time, you can’t feel it, hear it, smell it, or taste it, but electromagnetic energy is present in many different forms around us for our entire lives. Whether you’re camped out under the stars, in the middle of the desert, or home in bed, the light of a starry night, the passing electrical fields in weather systems, or the electrical fields from the wires in the walls of your house are constantly present. Since you rely on electrical signals in your nervous system to react, think, and experience emotions, the electrical fields in your environment can influence you in a powerful way. Most people don’t realize that their cellphones are miniature microwave heaters. Whether carried in the pocket, in the bra, or in your hand near your face and head, you are irradiating yourself with signals that penetrate your body and brain, and the frequency is in the same microwave range as the kitchen appliance that heats your soup. Most cellphones today have GPS units built-in, and the very fact that a phone (whether it’s turned on or not) knows where you are on the surface of the earth is an indication that it’s communicating with a satellite about 22,000 miles above your head. The GPS signal grid is an electromagnetic net-sending energy not only to your phone, but into and through your body. Other signals, like those from cellphone/surveillance towers, traffic light sensors, police radar, “naked” body scanners at the airport, and WiFi internet equipment are sending invisible beams through the air and through you. Have you noticed that X-ray technicians rarely stay in the room when you’re getting irradiated? This is because very high frequency electromagnetic energy is actually powerful enough to damage cells in your body. The technicians are around this energy all the time, so either they wear a lead shield, or they get far enough away to avoid exposure. Above the ultraviolet range, the higher energy and frequency of X-rays and Gamma rays not only penetrate human tissue, they can damage cells by knocking electrons away from their proper atoms (ionization). When this happens, the cells begin to leak and die, or they mutate and cause cancer. The natural rays coming from the sun can damage our eyes and skin, but for the most part, our bodies have not only evolved natural protection against too much exposure, we actually need a certain amount of direct sunlight to supply the vitamin D that keeps us well. Physicist Tom Valone says, “HV [high voltage] static and dynamic EMFs [electromagnetic fields] have been an integral part of the human experience for thousands of years of evolution so that we biologically thrive in response to them.” The natural signals we receive are from a blend of sources like the earth’s Schumann Resonance (about 8 cycles a second), momentary charges from distant lightning, and even electrical fields generated by seismic stresses on tectonic plates. The power of the natural signal can vary, especially if a lightning storm is right over you. But an analysis of this healthy exposure shows we need a wide variety of different frequencies and wave shapes. The problem arises with sustained, artificial exposure to concentrated, uniform energy fields. The human body responds to this exposure with a variety of disease states from: arthritis, depression, fibromyalgia, leukemia, and birth defects, to cancer. The red pigment in your blood is based on iron, which is a conductive and magnetic metal. What could all the powerful, artificial signals in our environment be doing to the “circuit” of your blood and the electrical signals in your nervous system? As of yet, we largely don’t know. By 1974, “voice to skull” communication (carried by microwaves) was available as an electronic harassment or communication method for United States Special Forces. This technology is based on modulating a microwave carrier signal with electronically superimposed, subliminal words. It seems apparent there is a potential for advertising devices to plant suggestions in your mind. After passing one of those annoying advertising monitors at the store, you may suddenly have a compulsion to buy new tires for the car-even though you hadn’t thought of it or planned to do so. This phenomenon is more than subliminal advertising, it’s called “entrainment.” It’s fairly common for entertainment media to contain subliminal entrainment signals that induce an almost hypnotic, zombie state by synchronizing with and slowly altering your brain waves. Your brain waves have a natural shape and rate, depending on what you’re doing. The lower frequency, slower waves are associated with sleep and meditation, while faster rhythms are associated with analytical thinking or intellectual effort. If you just got a new video game and find yourself calling in sick to work, failing to change clothes or bathe, and eating food delivered to your door for a couple of weeks, you are entrained, my friend. Though it’s hard to know the true agenda of the pervasive weather modification efforts going on over our heads, it’s becoming increasingly clear that weather fronts and cloud patterns are showing the effects of extremely powerful electromagnetic energy applied from unknown sources. Most geoengineering involves depositing nano-sized particles in the Troposphere, but some military and scientific applications require chemicals like Barium and Strontium compounds deposited at much higher altitudes. “It has…been proposed to release large clouds of barium in the magnetosphere so that photoionization will increase the cold plasma density, thereby producing electron precipitation through enhanced whistler-mode interactions.” This is from a PhD thesis dedicated to sending extremely low frequency (ELF) signals around the planet from the HAARP facility in Alaska. The initial heating energy sent up first to create a superheated dome of plasma for an antenna, uses a powerful square wave with the sharp transition from zero to full power timed precisely to drive the atmosphere into an electrical frenzy and thereby heat up to around 5700o F.
The Ionosphere (80-300 miles up) is composed of several layers of incomplete, electrically unbalanced molecules (ions) that have been torn apart by the sun’s radiation in a process called ionization. HAM radio operators have long known that the ionosphere can act like a mirror for radio signals, especially at night when the atmosphere is calmer. Scientists and military groups have been using various layers of the ionosphere to create the aforementioned large bubbles or domes of superheated plasma to reflect signal transmissions all the way around the earth in two or three “hops.” They’ve also found that the plasma dome collapses when the heating signal is turned off; which effectively creates a downward-pressing “gravity wave” as cold air rushes into the void left behind. Gravity waves can be used to steer the jet stream or crush the excess moisture out of developing hurricanes or storms with tornado potential. Those of us who watch the weather patterns in the Pacific, west of California, have detected a number of weird incidents where drought-busting storms suddenly dissipated under very suspicious circumstances. Ionospheric heaters are big, expensive antenna arrays that have traditionally been located near the earth’s poles, with later installations (and new strategies) located near the equator. They are increasingly being replaced by instruments mounted on ships or in smaller ground-based regional stations around the globe. Many ionospheric heater experiments have emphasized both the ELF and VLF (very low frequency) frequency ranges; which just happen to resonate with human brain waves or the Earth’s natural Schumann Resonance frequency. Though geoengineering chemtrails are the most obvious sign of large-scale tampering with the environment, what happens in the sky to both normal clouds and the artificial aerosols is an indication that we are increasingly bathed in very strong artificial EM (electromagnetic) signals. According to Physicist Bernard Eastlund, “The technology of artificial ionospheric heating could be as important for weather modification research as accelerators have been for Particle Physics.” The US Navy uses the same frequency range for communicating with undersea submarines, and the oil and gas industry has developed very accurate methods for locating deposits underground with ELF electromagnetic energy beamed right into the earth. Many people have blamed the increase of Midwest earthquake swarms on this exploration before fracking came in. There is some indication that powerful electromagnetic signals can cause liquefaction along fault lines due to the heating of iron particles in the soil. So we’re looking at increased levels of EM excitation of the air, the earth, AND the oceans. Increasing numbers of whales and dolphins are beaching themselves, even in areas where the Navy claims it is NOT using sonar. Animals that depend on magnetism for navigation during migration are often disoriented, moving in the wrong direction at the wrong time. Could this be caused by artificial electrical and magnetic energy flooding the environment from new sources that have no requirement to admit the tremendous harm to wildlife and humans? A veterinarian in Beebe, AR, after he performed internal examinations, said that the blackbirds dropping by the thousands from the sky looked like they had been microwaved. The USGS maintains a database of bird and fish die-offs. Though biological disease factors and chemical toxicity are recorded, by far, the fastest growing category for “Cause of Death” is “Undetermined” or “Trauma, Open”. Obviously, energy that can do this to water vapor isn’t necessarily confined at the level of the clouds. Though you may not see it in the air around you, there is nothing to stop that same energy from coming down to the ground. If the energy is being radiated from ground installations, it’s obviously at an angle very close to the surface in order for it to spread over the entire area of southern New Mexico. If the energy is coming from satellites, it’s obviously hitting the ground after it passes through the clouds. It begs the question: Is the energy always there but only detectable when there are clouds present? Many observers who have noticed weather “steering,” storm augmentation, and/or cancelling have been blaming the coordinated network of powerful NEXRAD stations throughout the country. However, if you notice the picture above, on the left, you’ll see a satellite shot of the island of Honshu, taken right before the earthquake and tsunami that caused the Fukushima disaster. Those clouds are certainly not being ridged by a NEXRAD station, and you have to wonder whether such powerful energy beamed right at an earthquake fault zone might have played a role in the severity of the quake. It is sometimes possible to “zero in” on the energy sources when the ridging seems to be radiating out in concentric circles in the clouds. One place in the US that seems active during weather front passage is in north central Nevada. Upon zooming in using Google Earth, a very strange looking center pivot irrigation field turns out to be right in the center of the disturbances. This image is now blurred in the current version of Google Earth. The presented image is from the author’s archived collection. As this modulation in the clouds is seen more and more, it’s becoming obvious that more of the atmosphere (and the earth) is being irradiated by powerful, artificial electromagnetic energy in ways never before seen on this planet. This new energy “pollution” is happening at the same time that huge amounts of geoengineering chemicals are being dumped into the air. The environment right now is completely different than the conditions that were present when we were born (regardless of when you were born). More and more people are discovering they are sensitive to “electro-smog”, and doctors are not presently trained to help patients deal with the debilitating symptoms caused by exposure to EM fields. Is it any wonder we are seeing incredible rates of tree death in the forests, flocks of birds dropping from the sky, and the inevitable loss of food production caused by the disappearance of bees and other pollinators? In Why in the World Are They Spraying, a film by Michael Murphy, there is an interview with a trader who works in commodity trading. He says he can make millions by over-insuring crops, and then “ordering up” a weather disaster. By causing the crop to fail, the insurance claim results in a reimbursement larger than the profit to be gained by selling the crop. If this trend continues, greed for financial gain will eventually wipe out the ability to produce food. The farmers don’t benefit from these disasters. Only the commodity traders and their beneficiaries gain anything from destroying an entire season’s crop. Eventually, the farmers will be wiped out, and food will be produced by huge agricultural conglomerates that really don’t care about the quality or safety of the product. Beyond weather “modification” is the aspect of weather control. Weather watchers have been horrified to watch jet stream channeling, chemical aerosol dumping in the feed streams of building hurricanes, and apparent increases in wind speeds or pressure differences needed to time the collision of fronts that result in storms like Hurricane Katrina, Hurricane Sandy, the Polar Vortex heading south, or the California drought disaster. What started out in Bernard Eastlund’s mind as a beneficial method to prevent weather disasters has now morphed into a set of the most powerful weather weapons in history. As mentioned in articles by Peter A. Kirby, the Navy’s Admiral Raborn expressed a desire to develop and use weather weapons in tactical and strategic situations, and there have been a number of developments in the ability to launch and fly an aircraft with wireless microwave energy beamed up to supply rechargeable battery power. Whether we can see it or not, the electromagnetic energy filling our skies is either part of this weather control, or worse, part of human population control. According to Barrie Trower, who has several powerful interviews on YouTube, constant exposure to EM energy can cause: domestic violence, miscarriages, leukemia, cancer, psychosis, and zombie-like apathy. When cloud ridging is so evident in cloud patterns all over the globe, it would be interesting to gather health and social data like crime and violence rates. But that data is localized and very difficult to compare because no one is looking at the big picture and nobody seems to have any information on when, what, or why the energy is being applied. To paraphrase George H.W. Bush, the stealthy aspects of population reduction and mind control on a large scale are now “coming into view”…all you have to do is look up. Valone PhD, Thomas (2015-06-29). Bioelectromagnetic Healing: A Rationale for Its Use (Kindle Locations 33-34). InstantPublisher.com. Kindle Edition. 30 Comments on "Electromagnetic Energy in the Air"
Disaster Capitalism designed to put YOU under……..
Where are all the shills saying that she doesn’t know what she’s writing about? I do believe they would not last long. Her article is chock full of info that is easily verifiable, and the title is not shocking. I thought sure this was going to be a story about harnessing the EM in the enviro. Would that not be great? Use the EM to power our lives instead of the EM powering weaponry. 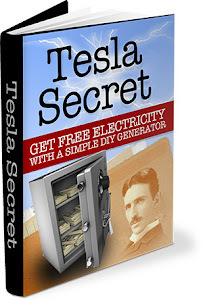 Where’s Mr.Tesla when you need him? That’s funny, I thought the same and clicked on the expectation of some kind of Tesla-ish review on electromagnetic energy. Still, the article proved to be worth the read. People who live near high power lines have pointed directional TV antennas at them and got small amounts of power from them, Then I think power company political action groups got laws passed against doing that. When this article gets more views, the shills will be here in force, spewing the usual potty mouth [email protected] style insults. odd how Al ‘the sky is falling’ Gore started sqwaking about the planet heating up – was the same time that haarp first made it’s appearance – a little insider information and cui bono. HAARP has been around for a lot longer than that…. Kruschef [sp] said they had this EMF weapon in Russia decades ago. There is an international treaty with USA agreeing not to use it on each other, but nothing saying it cannot be used on their own people. Based on this very logical senario with HAARP & chemtrail spraying it only makes sense that the greedy pyschopaths would use this for money AND depopulation all the while blaming global warming on us. Katrina could have been downgraded but instead was ramped up. Cloud formations too symmetrical. The earthquake in Haiti was preceded by much HAARP activity & colors in the sky; also did not occur on the natural fault line. USA troops just happened to be training for this in Florida & have been occupying the country ever since. Monsanto sent tons of GMO seeds that the farmers burned rather than plant. Look at the patterns of droughts & floods especially in the breadbaskets of USA. After a couple of years of failed crops the farmers must sell cheap. Follow the money. Look who is buying up the land; Monsanto & the 1% folks that want to control the food supply & herd us into the cities where we can be forced vaccinated & bathed in Wifi. No one allowed in the King’s forest but the animals. If you are rich , you can put a grid of planes in the sky to alter the jet stream, especially if you are shorting the Ag market & will make a profit from it. Ranchers are being forced off their lands by govt & military as well . The so called “public lands” are being sold or leased to corporations & foreign entities to exploit minerals & natural resources. We are increasingly being denied access to lands bought with our tax money. Stop supporting this with you wallet. Also look into Rifing ,faraday cages,& cloud busters & maybe an indoor garden or greenhouse. I use Sony wireless headphones for my TV and computer. Do these also have these emissions? Thanks, I guess I’ll get some that are not wireless. Is that better? Just a cable from your computer direct to your inlet and close the wifi on your computer. Thanks, great information. It is documented that back in the 70’s the U.S. military discovered waveforms that can trigger various human emotions, particularly negative ones, when broadcast on pretty much any carrier wave. That was 40 years ago. We have not only the EMF transmissions from HAARP-type arrays and sea and ground-based radars, but what about all of the burgeoning wi-fi and commercial phone networks? Here in Santa Cruz, Calif., the phone companies are now rolling out utility-pole mounted 4G installations in very high density (a dozen or more per square mile) and are pushing for an end to needing to get permits for every installation. 4G is reported to be much more bio-active and toxic than earlier technologies, and 5G is coming on fast. Is it possible that these installations are available to broadcast weaponized EMF on demand? If so, who controls those usages? If you compute the average length of a strand of human DNA in a chromosome, you’ll find a resonance in the 3G range. Two scientists at Los Alamos National Lab published a short paper on the ability of light in the Terahertz range to “unzip” DNA. It’s really frustrating to try and find out who is actually behind all the EMF disturbing the clouds, or disturbing us. They don’t even have to put anything in Environmental Impact Statements when they add sources to the growing pile EM in our environment. Mostly nonsense. We do not have the technology to produce EMF on the level needed to affect weather. Ignorant comments and name calling – show me the consensus science proof that EMF is a problem. Like I said, we now have more EMF than ever and people are living longer than ever. Maybe you should have protected your brain with a tin foil hat. How can you be so sure? Just another troll…how much did they pay you for this little gem? Name calling and ignorant comments – produce the consensus science proof that EMF is a problem. Like I said, we now have more EMF than ever and people are living longer than ever. It’s inductive reasoning (and erroneous) to correlate increased EMFs in the environment with enhanced human longevity. If you’ve never investigated EMF bombardment of the US embassy in Moscow, I’d suggest you actually do some research. More and more people are showing the miserable effects of EMF exposures and sensitivity. Teachers have noticed that young kids who have cell phone conversations at lunch exhibit symptoms of ADHD compared to their normal behavior patterns. There is a huge effort to obfuscate the link between EMFs and negative health effects. People might be living longer (for now), but a lot more of them are more miserable for that extra time they are alive. Why defend someone who dismisses such a complex subject with a statement that the whole thing is nonsense? This is why I wear my tinfoil hat shiny side out. Tin foil hats are very warm !! Literally they are I made one and wore it for an hour to see if I noticed my brain operating any differently, I can not remember anything different, Just that your head gets very hot, Maybe it concentrates the radio frequency in the air some how ? Thank you for such an informed and fascinating read. I think they are most definitely messing with our electrical field sending messages to our brain and making people all over the globe confused/ committing suicide unable to cope. Fracking over tectonic plates to destroy energy and suppress our ascension I feel that is exactly whats going on here also in Christchurch Dorset UK We do not see the sun for weeks at a time, complete darkness lights on indoors with blacked out skies and people are telling me that they feel very ODD/strange but cant figure out why, I have of course tried to tell the about Haarp but naturally I’m laughed at for being a conspiracy nut…. so to help my fuzzy confused state of mind I should turn off my WiFi and ditch my mobile, easily done, I am not a slave to either. Yup…you found a good example. If you can get on a satellite cloud map (Unisys or Intellicast are good), you can find a set of reference points. Count the number of ripples between towns or whatever coordinates you can mark. Then draw a path between those points in Google Earth. If you divide the path length by the number of crests, you’ll get the wavelength. From there, it’s easy to internet wavelength to frequency converters…so at least you’ll know what frequency range you’re dealing with. That might actually point you to the source of the harmful energy beamed at you. I’m not sure if it was the Rockefeller commission, but there are more and more scientists saying 911 was a microwave weapon…hence the “dustification” of the buildings. Steven Greer is an interesting dude and this presentation is pretty direct in pointing out corruption. It sure isn’t all peace and light when it comes to the government covering up things. I see nobody is taking actual wavelengths into consideration here, assuming (wrongly) that ALL electromagnetic radiation is bad/harmful, when it is not. 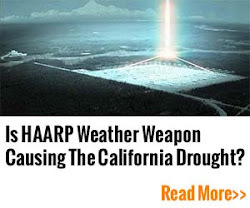 HAARP, or High Altitude Atmospheric Research project simply aims low band UHF signals upward into the atmosphere, no matter the power leel, this has no chance of affecting planetary or national weather.